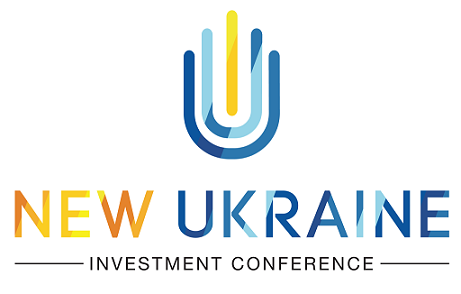 May 16 «Parkovy» Convention & Exhibition Center hosts Sixth International Investment Conference «New Ukraine». 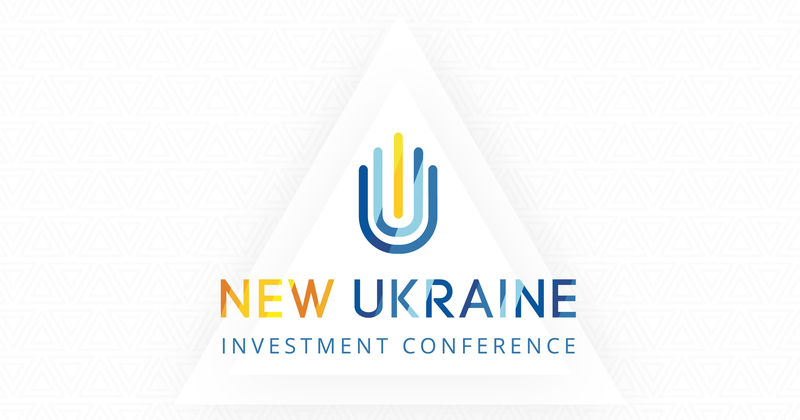 NEW UKRAINE INVESTMENT CONFERENCE – a platform for communication between investors, corporations and government to discuss potential partnership, cooperation, as well as socio-economic problems of Ukraine in order to improve the investment climate and creation of a successful new Ukraine. The International Investment Conference «New Ukraine» is the best opportunity to meet personally with the leadership of Ukrainian corporations and political leaders, as well as to establish relationships for current and future projects. ● Panel discussions with key representatives of international and local political and business communities. ● One-to-one meeting with investors and company executives. ● Group meetings and presentations of the largest corporations of Ukraine, USA, Canada, Israel, countries of Central and Eastern Europe. ● Presentation of the best investment projects. ● Gala evening at the end of the first day of the conference. ● Visiting the enterprises on the second day of the conference. Empire State Capital Partners is hosting the fifth International Investment Conference New Ukraine​. It will take place on May 17 at the Parkovy center in Kyiv. The conference brings together investors, government officials, business leaders, CEOs of big companies and representatives of SMEs. It features nine panels with a special focus on venture investment in new technologies as a key vector of the future technological breakthrough of Ukraine’s economy. “The attendees will see an intense program,” says Alex Bart, the founder and managing partner at Empire State Capital Partners. “It includes panels on macroeconomics, agriculture, energy, infrastructure, real estate and defense. Also, we will have a battle of startups. 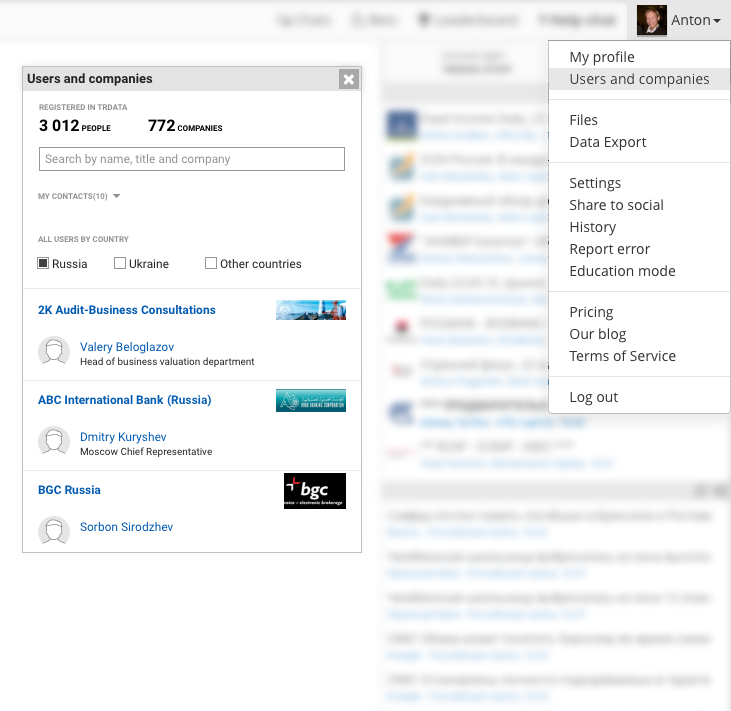 We believe that Ukraine has every chance to become a new startup nation,” he adds. See full conference agenda here. Headline partners of the conference are UkrLandFarming and Thomson Reuters. Energy partner is RECOM. The partners include Mobile Beach Conference, Astarta organic business center. Official carrier – Turkish Airlines. Media partners are KyivPost, American Chamber of Commerce in Ukraine, TUID, TRDATA, Ukrainian Venture & Private Equity Association UVCA, Financial Services Volunteer Corps (FSVC) and Uangel. The technical partner is High Castle investment platform. The conference speakers include Steven Fisher, Citibank Country Officer for Ukraine, Dmytro Shymkiv, Deputy Chief of Staff, Andy Hunder, President of the American Chamber of Commerce, Denys Hurak, Deputy Director General at UkrOboronProm, Pavlo Sheremeta, ex-Minister of Economy and co-founder at the strategy lab proryv.in.ua, Yevhen Sysoyev, Managing Director at Aventures Capital, Rafael Yucha, co-founder of Platform co-working space, and KyivPost CEO Luc Chenier. 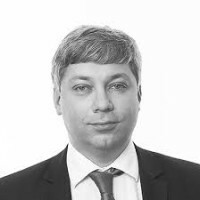 Russian Key Rate Forecast Winners for 28.10.16! The Bank of Russia decided to keep the key rate at 10.00% p.a. On 28 October 2016, the Board of Directors of the Bank of Russia decided to keep the key rate at 10.00 per annum. The Board of Directors notes that the dynamics of inflation and economic activity are overall in line with the forecast. At the same time, inflation is slowing down to a great extent on the back of temporary factors, while deceleration in inflation expectations remains unsteady. For the trend towards inflation slowdown to become sustainable, according to Bank of Russia estimates, it is necessary to hold the current key rate throughout 2016, with its potential downgrades due in 2017 Q1-Q2. Given this decision and considering that the moderately tight monetary policy is maintained, annual growth in consumer prices is set to total less than 4.5% for October 2017, dropping to the target level of 4% by the end of 2017. When making its key rate decisions in the months ahead, the Bank of Russia will assess inflation risks alongside with the alignment of inflation dynamics and economic performance with the baseline forecast. The Bank of Russia Board of Directors will hold its next rate review meeting on 16 December 2016. The search for development strategy for Ukraine is at the heart of the Forum. The main component of transformation processes is people, leaders of changes. The following questions take on new significance: who are these leaders? what values do they believe in? what innovations do they use? Join agents of changes in discussion between public officials, public opinion leaders and business owners on November 10, 2016 at Hilton Kyiv. The development strategy of Ukraine. Innovation. Going to the next level. The role of personality in the transformation process of the state, society and business. 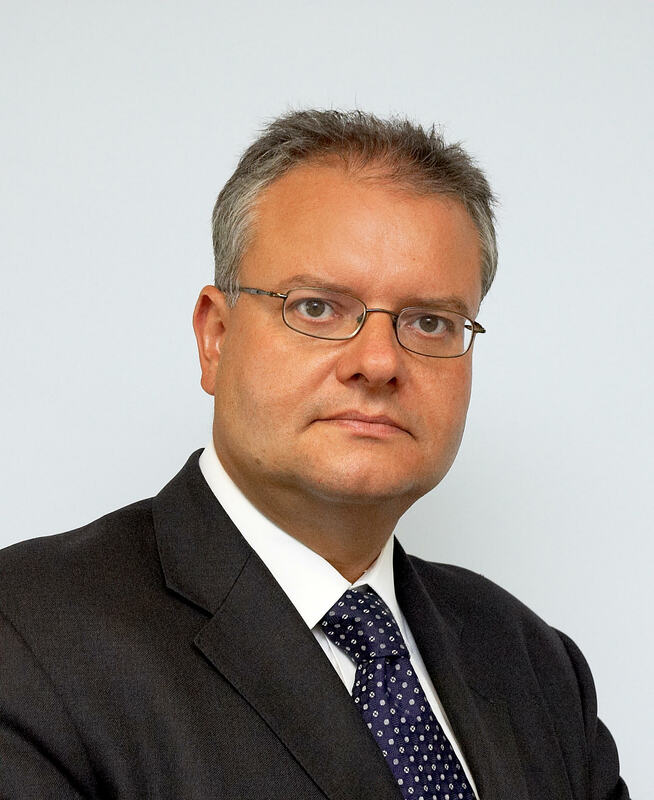 Alexey Timofeyev, CEO, Trident Acquisitions Corp.
Industries: agricultural, FMCG, retail, machine-building, MMC, fuel and energy, chemical, pharmaceutical, financial, logistics and IT. The 12th ACI General Assembly was held in Moscow in last week. Over 250 people, primarily bankers and other financial professionals, attended this event, which has become a yearly tradition among the Russian financial community. TRDATA was a sponsor for this year’s event. The evening began with a technological exhibition, during which TRDATA presented its comprehensive line of solutions for managing financial processes, specifically the Market Data Platform, Asset Management, Trading, and Risk Management System. The most relevant and influential event devoted to the trends of Ukrainian market of traditional and renewable energy as well as energy efficiency. It is the leading platform for dialogue between government and business, uniting professionals from Ukraine and abroad. TRDATA and ACI Russia invite you to the 12th ACI Russia General Assembly. 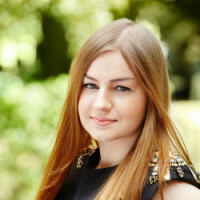 This event has been held yearly since 2004 and is not just a formal event, but a traditional place for the Russian Forex community to meet and network. TRDATA is a sponsor of this year’s General Assembly. 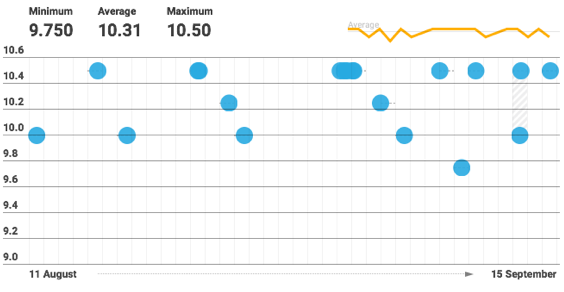 Russian Key Rate Forecast Winners for 29.04.16! 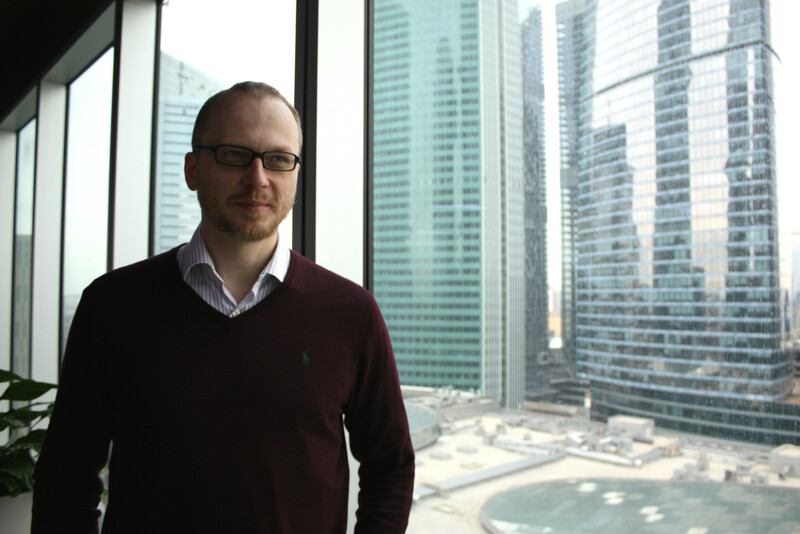 Our CEO Anton Pasechnikov visited TRDATA’s Moscow office a couple weeks ago. I had the chance to ask him a few questions during a short interview. We discussed the banking situation in Russia and the world, as well as how TRDATA is adapting its business strategy to meet the demands of today’s financial market. Read on below. 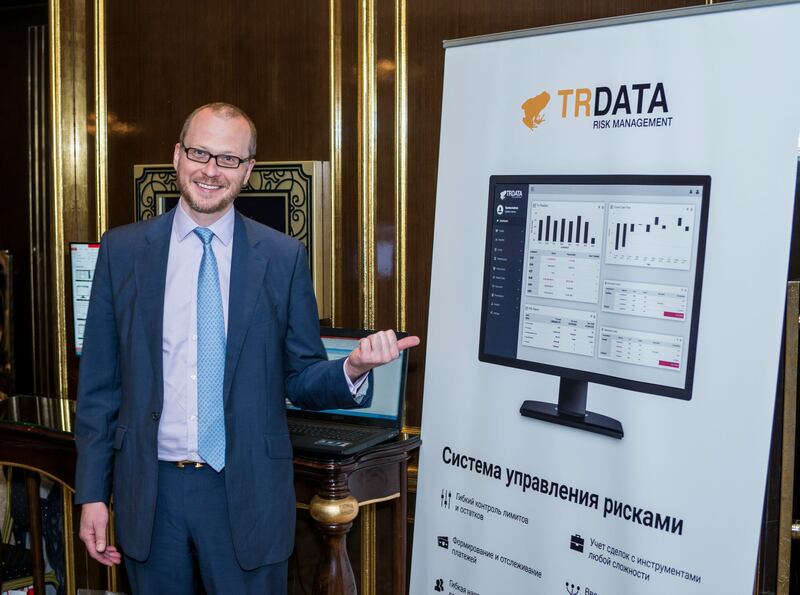 Meet TRDATA at the Annual Moscow Exchange Forum! This year the 7th annual Moscow Exchange Forum will be held on April 12th at the Ritz Carlton in Moscow. TRDATA representatives will be present at the forum and look forward to meeting our clients. UCRA FIS INDEX (Foreign Investor Sentiment Index) for Ukraine continued to decline after a sharp drop in the previous month and reached a record low for the last 12 months with the value of 79.2 points. Continued fall of the index reflects investor pessimism regarding the possibility of a quick and effective resolution of the government crisis. Thanks to everyone who came to our informal networking event last week! We hope you enjoyed it as much as we did. Here are the photos from the CEO Friday event. 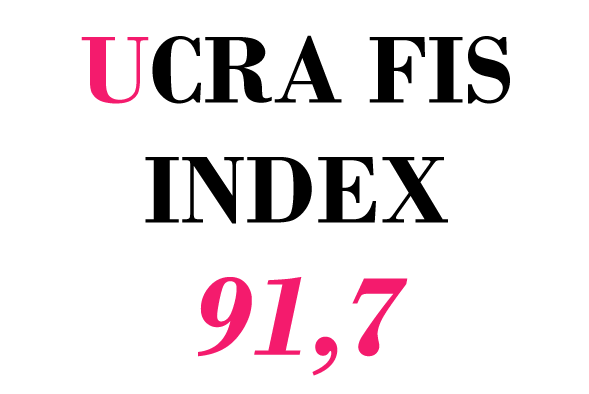 Stay connected with us on our blog and Facebook page to be the first to know about future events. TRDATA would like to invite our friends and partners to CEO-Friday on March 25th for an informal event where you can network with business partners, customers, friends and other interesting people. Attendees will include top and middle managers, directors, and other company representatives from various industries. On Friday, March 18, Russia’s central bank released its key rate, keeping it at 11.00% p.a. This move was widely expected by analysts. In their press release, the Bank of Russia cited high inflation risks, unsustainable oil prices, and uncertainties surrounding the budget as considerations in their key rate decision. 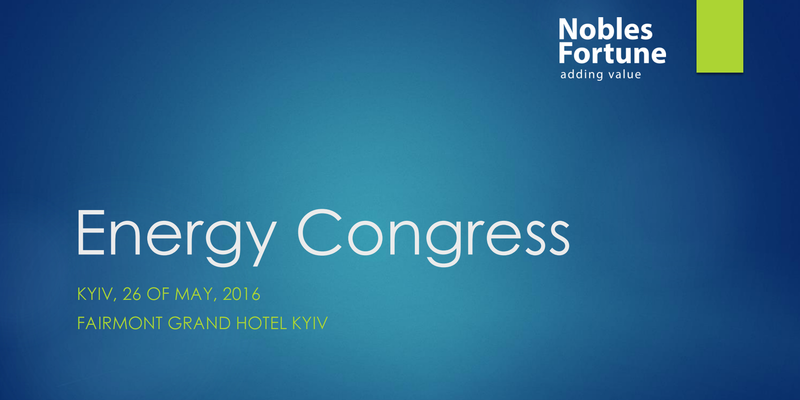 We kindly invite you to take part at the most relevant and influential event for the Ukrainian market of traditional, renewable energy and energy efficiency which will be held 26th of May in Kiev. UCRA FIS INDEX (Foreign Investor Sentiment Index) for Ukraine fell by 1.2 points in the past month but remained in the positive zone with a value of 103.7 points. A significant contribution to the mood of investors has been brought by uncertainty about the timing and conditions for the allocation of the third tranche of the IMF loan to Ukraine (postponed since 2015) and by the increased local currency devaluation risks. From now Ukrgasbank publishes daily quotes on the OVDP (Government Bonds) in TRDATA. 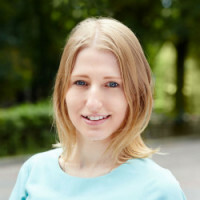 On September 24, 2015, the Ukrainian capital will host international exhibition and conference Bitcoin Conference Kiev – platform bringing together the best experts in the field of cryptocurrency from around the world to share their experiences and knowledge on what Blockchain is, how Bitcoin works and why these technologies can change global financial system. 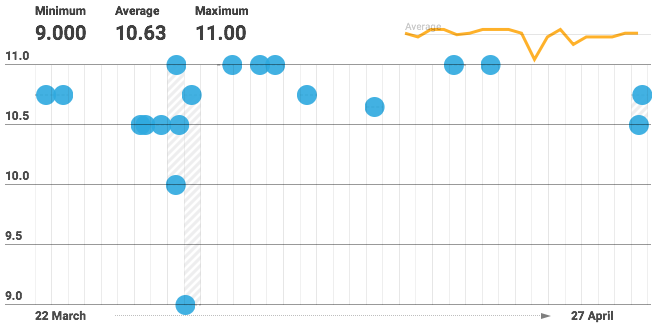 Fitch‟s Russian rating revision and expectations of the Greek referendum‟s results will drive today‟s market mood. We await flat trading with low volatility. We agree with Mr. Siluanov and also do not expect Fitch to downgrade Russia’s rating on Friday. 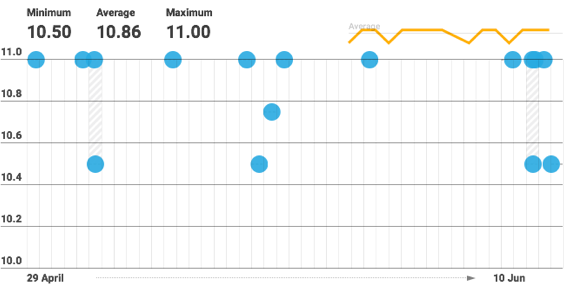 This rating affirmation at the investment grade level may support Russian sovereign bond prices. Ukrainian Finance Minister Natalie Jaresko confirmed that the IMF will attend the meeting that Ukraine will hold with its creditors’ committee on June 30 in Washington, the Interfax-Ukraine news agency reported on June 25. Jaresko also told journalists that there is no IMF decision that treats the USD 3 bln Ukrainian Eurobond, purchased by the Russian State Welfare Fund, as state debt. She confirmed a theoretical possibility of Ukraine announcing a moratorium on debt repayment. On April 25, 2015 TRData will be a media partner of TRADERNETCamp. This event is hosted by Ukrainian Exchange and TRADERNET at “Bochka”, 19-A Khreschatyk, Kiev. The event starts at 13:00. Previous registration is obligatory. Please visit www.ux.ua site for more information. The winners of Brent Oil rate forecast on April 1, 2015. We congratulate the winners of Brent Oil rate forecast on April 1, 2015. We are very glad to announce the results of the Brent Oil forecast on April 1, 2015, 12AM. We are glad to announce that TRDATA and The State Mortgage Institution have concluded a cooperation agreement. We hope for a successful cooperation and a positive results. Ukrainian Exchange currency futures seminar hosted by TRData on the general chat of ukrainian users was held yesterday. As an informational partner TRDATA is happy to announce Agrobusiness 2015: сhallenges, risks and solutions which will take place Cosmopolite Hotel 6 V. Hetmana Street, 03057, Kyiv, Ukraine, on the 17th of February 2015. Taking into consideration significance of reliable real-time financial market information for making good decisions in unpredictable Russian environment; volume of Russian local financial markets; interest from traders, brokers, portfolio managers and analysts in a user-friendly multifunctional financial platform that would save money and time; high importance of Russian financial market for CIS countries and the whole world – we took a strategic decision to open the Moscow office of TRDATA! As an informational partner TRDATA is happy to announce First Interbank Conference ACI-Ukraine which will take place in Кiev on the 29th of November 2014. 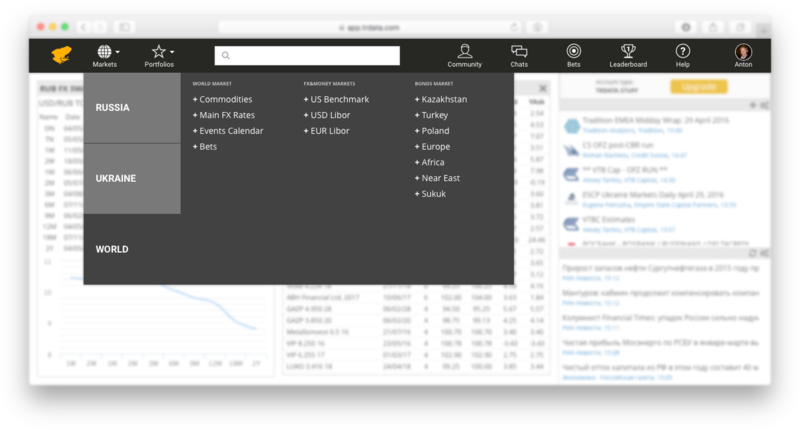 Enjoy our improved elegant design for super-efficient management of market data. 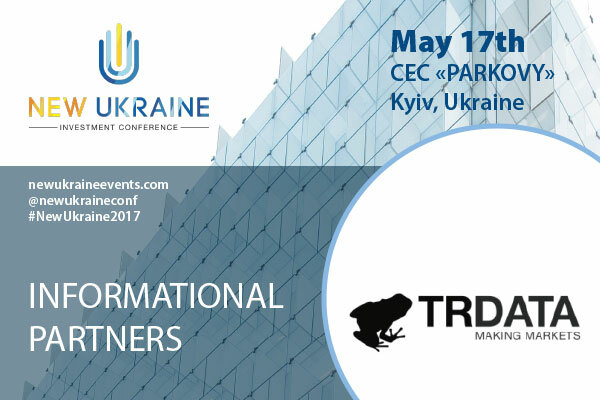 As an informational partner TRDATA is happy to announce Lviv Financial Forum which will take place in Lviv on the 18-19th of September 2014. The Fixing is updated daily at 11.30. Available in “UAH FX” screen and onlineНовый расчетный инструмент в TRDATA – TRDATA USD/UAH Fixing. TRDATA and national rating agency IBI-Rating signed a partnership agreement. It was remarkable year for TRDATA – we are growing fast, getting bigger. We covered every corner of local market in Ukraine. Here are the numbers. 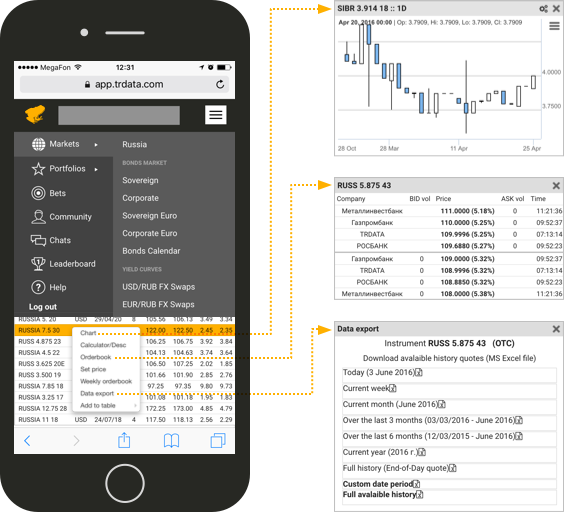 TRDATA system provides access to real-time and historical data from “Perspectiva”, financial news and analytical reports of leading banks and investment companies. As an informational partner of Forbes Conferences, TRDATA is happy to announce Forbes CFO Forum, which will take place in Kiev on the 30th of October 2013. You can register here http://goo.gl/EdGozT . Use tag TRDATA to get 10% discount! Ukrainian bond markets reacted to news of the government’s new loan which was approved a week before but announced last week. Because of this loan as well as of last week’s monthly tax payments, the MoF did not refinance all debt repayments, but instead raised less than half of its needs. 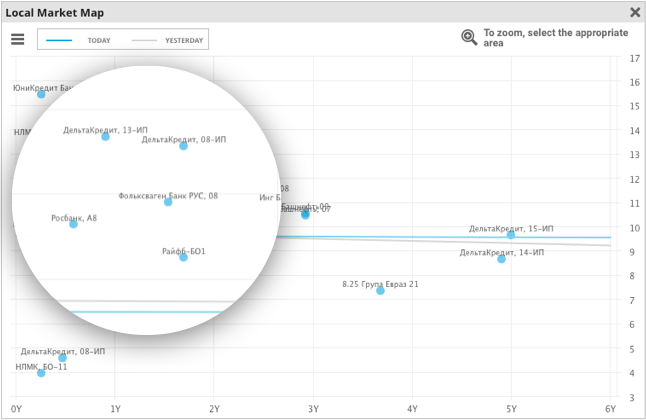 Every month we have new feature in TRDATA and August is not an exception. July 9, 2013 the independent rating agency Credit-Rating and TRData announce partnership.